What happens when you take a Super NES and put it inside a toaster? 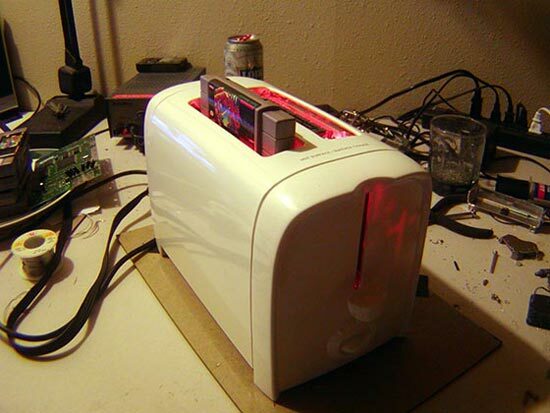 You get this fun Super Nintoaster mod made by moder vomitsaw from the Ben Heck Forums. As you can see from the photo, the cartridges are placed in the bread slot along with the controllers, check out the funny video below. Apparently this is the second SNES toaster the vomitsaw has made, although we cant find any details of the original.